How Moth-SARS Bible Code Overlaps All Codes-1. 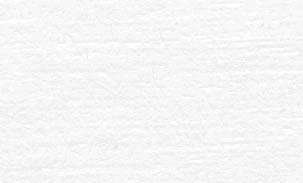 This document explains what "letter-years" are. Also see, "Letter Position in Hebrew"
For the sake of space, little time will be spent reviewing what each picture code says. Click on each picture for information on that specific code. Instead, we will concentrate on showing how that each picture is numerically related to the other. This is perhaps the most convincing evidence that these codes are indeed a last-days sign. "They will measure the great compassion within my moth! The blood of salvation (Jesus) is in the water! Grace stirred! Suddenly, the hand of God worked a wonder enough for them/him (to believe)." Important digression: This means that divine providence has the Hebrew text [Koren text particularly] to be what it precisely is today despite letter changes by scribes over past centuries. These letter changes are to God's glory, for by them the text was sealed till "the time of the end," Daniel 12. The codes are symbolic of the "human genome" of Christ, reserved till the last days to be deciphered. Much more could be said, but for now let it be known that those who reject the codes on basis of scribal alterations have greatly underestimated the power of God! As those four "mother vowels" were being inserted by the scribes, [mainly up until the time of Christ], they were constantly spelling the divine name "I AM Jehovah" as a sub-code, repeatedly. Man's weakness is God's strength! The codes, then, are a sign that the last days are upon us and that the kingdom of God is at hand. This means that the letter that begins the mountain signifies the year of the flood and Mount Ararat, and the ending of the mountain 1200 letters later (that is, the left side of the mountain picture) signifies the year of the Exodus! (This is the same year as the burning bush and Mount Sinai episode in 1446 BC). Thus, we have Mount Ararat---mountain of Grace (for Noah was saved on it), and Mount Sinai---mountain of Law (for man will die if he breaks the law.) Another name for Mount Sinai is Mount Horeb. Both 'Horeb' and 'moth' in Hebrew mean the same, 'a waster.' Horeb also means 'desolation' as does the crossbeam upon which the moth hangs. The symbolism is terrifying! For a wasting judgment has been pronounced against this wicked world for rejecting Jesus who hung upon the cross. How the mountain overlaps the moth. The branch is the 189th to the 1389th letter of Daniel, and therefore represents the 189th to the 1389th year from Creation, or 4116 to 2916 BC. 490 x 3 letter-years later would be 1446 BC---the year of the Exodus, and the intended year of the 49-year jubilee cycles, (Lev 23). (2916 BC less 490 x 3 letters = 1446 BC.) 490 x 3 years later again (or 30 jubilees) was the 30th year of Jesus Christ, who fulfills the jubilee cycles! (1446 BC less 490 x 3 = AD 25). Therefore, when the mountain image is put back 490 x 3 letter-years, it overlaps the moth code as seen in the above images. Why are these dates emphasized? Because they represent the year when Abraham was commanded to offer up his only son Isaac (born of Sarah) as a sacrifice on Mount Mariah---which part of Mount Zion---Jerusalem. The code has the age of Isaac between 12 and 24, with 18 in the middle; numbers divisible by 6. (The mountain code goes backward like a square as well. This accounts for the 6 extra 6 letters.) Note that the New Jerusalem is also 12000 stadia on each side, similar to the 1200 letters at the base of the mountain, (Revelation 21:10). "And he carried me away in the spirit to a great and high mountain, and shewed me that great city, the holy Jerusalem..."
It should be noted that these three instances of a mountain---Mount Ararat, Mount Mariah (Zion), and Mount Sinai, are among the main passages in the bible that put emphasis on the mountain experience. Thus, for the code to have the 'mountain' picture occurring correctly at these 3 letter-position dates, and that it uses 120 x 10 ('1200') letters---biblical numbers that are associated with the mountain experience; and that the midpoint of mountain codes occurs in Exodus 3:1, "And Moses was shepherding the flock of Jethro his father, and he came to the mountain of God, Horeb, (i.e., Mount Sinai)"---surely, then, this is the finger of God! But to have the codes interlocking with other codes using biblical numbers such as 490 or 1260 letters, so as to form composite images is almost beyond belief. Yet, there it is! But what does a moth have to do with a mountain? The below image is discussed in detail in the fourth part. Image at right is another bible code "Deep Impact Bible Code" located a chapter earlier in Isaiah (ch. 45). 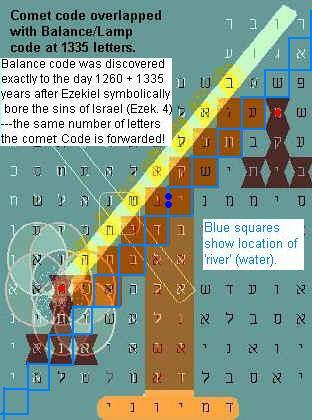 The image shows how it exactly overlaps the Balance/Lamp bible code when forwarded by 1260, 1290, and 1335. The two bible codes go together. This second one was completed a year later. These two codes at at ELS 11 in the book of Isaiah (45-46). They are a second example of how the bible codes overlap since these are placed in a matrix at ELS 11, whereas the ones discussed in the above series of articles are at ELS 120. Moreover, the two sets of codes (at ELS 11 and 120) all have the same theme and compliment one another.